On Saturday nights we like to have a simple meal. I don’t like the hassle of planning a large meal, since it is usually just Mike and me eating together. Plus Saturdays are usually quite a busy day for us doing this and that… So I am always looking for something delicious, but easy and fast to make. It is nice to make something easy in the crock pot, but sometimes you need to take a break from the crock pot. So I have been looking for some simple recipes to fill the bill for Saturday night’s dinner. When I found this recipe for Pita Chicken I knew that it would be a winner. It sounded like it would be a quick, simple, and tasty for our meal, plus nutritional. The chicken was really tasty; it had a little bit of spiciness to it, but not too over bearing. It was quick to saute and was on the table in no time. The nice thing was that you can add what you want to your pita sandwich. I served it with sour cream, avocado, onions, salsa, and tomatoes. But you can add anything that sounds tasty to you. 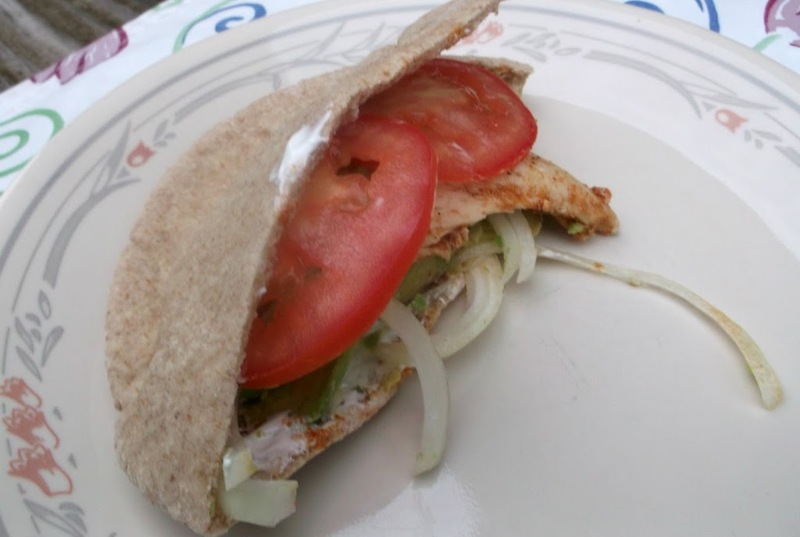 I loved the flavor that the sour cream added to this pita sandwich. Our son Adam actually was home for dinner the Saturday night that I served this and he enjoyed this as much as Mike and I did. The options for serving this sandwich would be endless. I am sure no matter what you add to this chicken pita it will be lovely. Cut chicken into strips. In a skillet saute chicken in hot oil until almost done. Sprinkle garlic powder, onion powder, salt, black and cayenne pepper over the chicken. Add salsa and continue sauteing chicken until done. 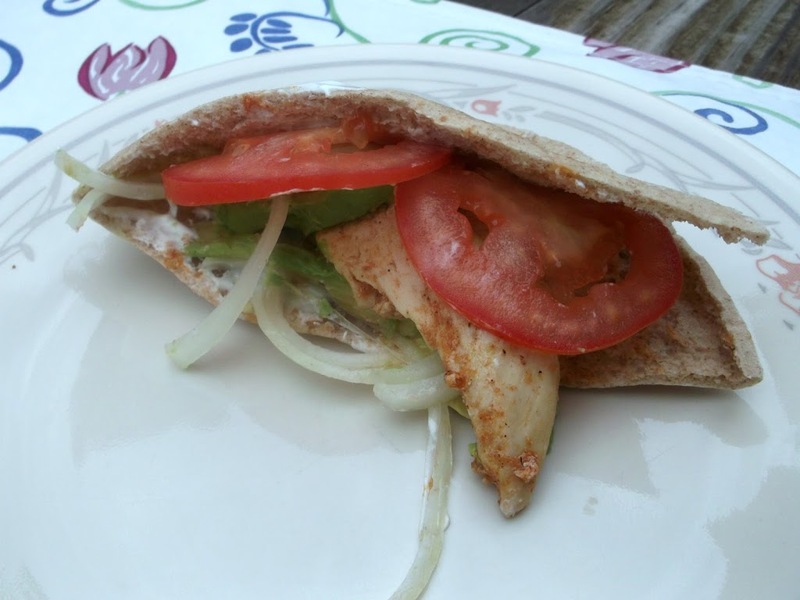 Fill pitas with chicken and garnish with tomatoes, lettuce, avocados and sour cream and whatever garnishes you like to eat. 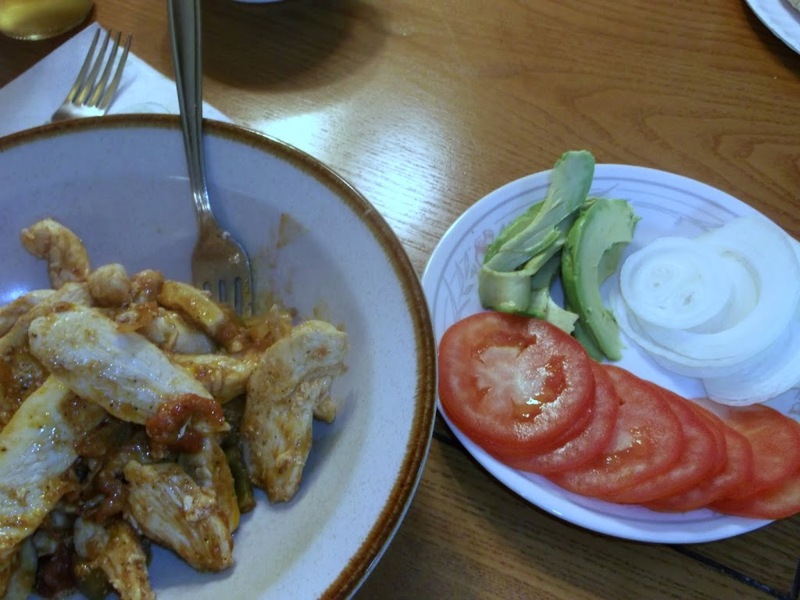 Quick, simple, and delicious – my kind of meal! I bought some pitas and popped them in the freezer a couple weeks ago. Now I have an easy recipe in which to use them…this sounds like an amazing dish! Thanks!